One of the shortest treks in Tibet is the Tsurphu monastery to Yangpachen monastery trek. The Journey also includes the stunning Namtso Lake. Tsurphu monastery is the main monastery of Je Karmapa black hat, and Yangpachen monastery is the main monastery of Je Karmapa red hat. One of the best ways to witness the beauties of grassland, mountain, and nomads. The beauty of the trek is the sound of the birds and peaceful nature far from the vehicle road. A night in Namtso Lake after the trek to witness the beauties of sunset, sunrise, and stars at night. Below price is two people shared one room. If Travelers prefer to have a separate room, the cost is 100 US Dollar extra. Welcome to Lhasa. Your guide and driver will meet you at the train station or airport and transfer you to your hotel. Lhasa, elevation 3650m, is the holiest city in Tibet and each day pilgrims from across the Tibetan Plateau arrive in the city to worship at one of the many temples found there. You will spend 3 full days exploring the city. The first day you will visit the Jokhang Temple, the most famous temple in Tibet. From the rooftop, you will see religious pilgrims prostrating in front of the Jowo Buddha statue inside the monastery. Afterward, you will explore the endless maze of markets and restaurants that line the ancient Barkhor circuit. While exploring the Barkhor circuit, you will rub elbows with Tibetan pilgrims who are prostrating their way around the Tibetan Quarter. 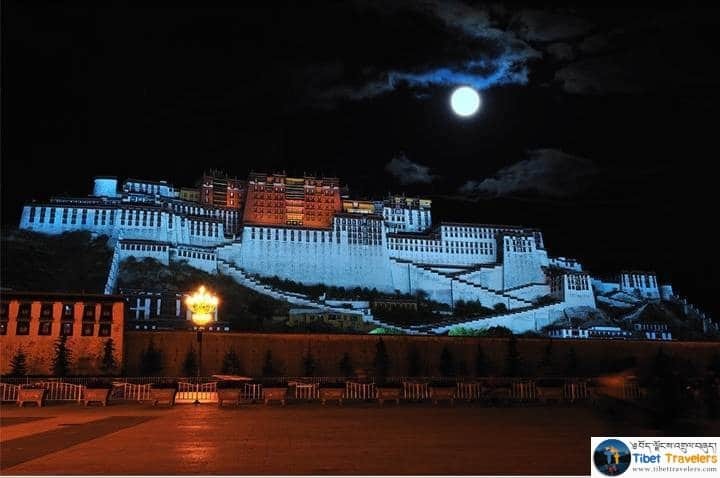 In the morning, you will visit the Potala Palace, the most recognizable structure in Tibet. 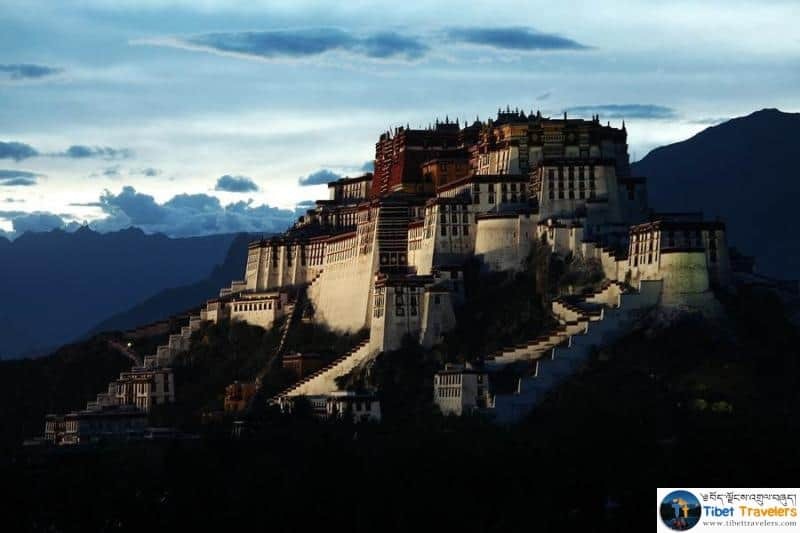 Built in the year 637, the Potala Palace rises 13 stories and has more than 1000 rooms. In the afternoon, you will visit the great monastery of Sera, where monk debates take place each day. If you are interested in hiking, there is a pilgrimage circuit around the monastery that takes about an hour to complete. Driving from Lhasa to Tsurphu Monastery takes about 2 hours, and the altitude will go up to 4500m. The first day will be spent acclimatizing and visiting this Tsurphu Monastery. 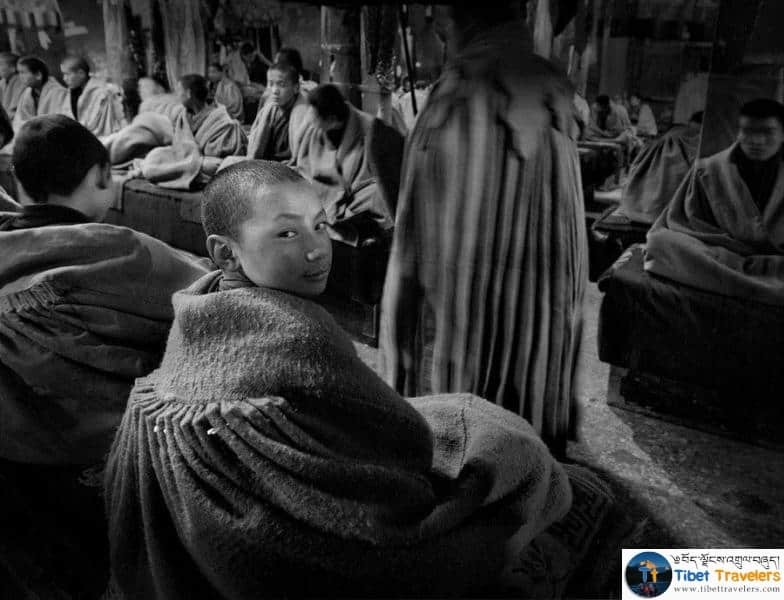 The first day of the trek will take you through several nomad Tibet areas. These nomads live in black yak wool tents during the brief summertime. There will be plenty of opportunities to see traditional style nomad culture in this area and to drink some yak butter tea. After crossing the Damchen Nyingtri pass, you will trek towards the left at the cairns at the crest, and descend into a magical valley of lichen-coated boulders, meandering streams, and expansive blue sky. Three hours later, you will cross the Lasar La and descend into the Yangpachen valley and hike towards Bartso, a nomad village of five or six houses, surrounded by the juniper used for incense all over the Tibetan world. From Bartso, trek towards a wide trail leading across the valley and over another ridge, from where you will get an excellent view of Nyenchen Tanghlha, which rises to 7162m. You will then arrive at Tajung village where yaks and sheep graze. A couple of hours later you will arrive at Dorje Ling Nunnery. You will set up camp near this area. On the last day, you will hike following the Nyango River to the Yangpachen Monastery This old Kagyupa monastery overlooks the Nyenchen Tanglha Range. From the monastery, your vehicle will transport you to the hot springs and then to Namtso Lake. You will see the sunrise at Namtso Lake, walk a little bit along the lakeside, afternoon drive back to Lhasa, happy nomads family dwelled their cozy yak wool tent on the grassy pastures and some close to the road are visitable for having a new experience, before reaching Lhasa the fertile valleys are nice looking with villages and their orthogonal fields. 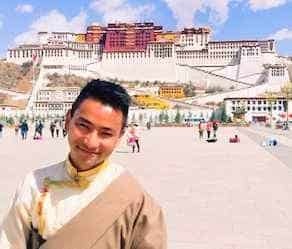 Morning Lhasa airport or train station dropping off, the time comes to say your farewells to your guide and driver, end the trip. 80 queries in 0.286 seconds.